Some vibrant colours for a subway, we get used to seeing these shots in monochrome, so this was a change from the usual. Our London Underground tends to look a little dirtier I must admit. This place is so clean! 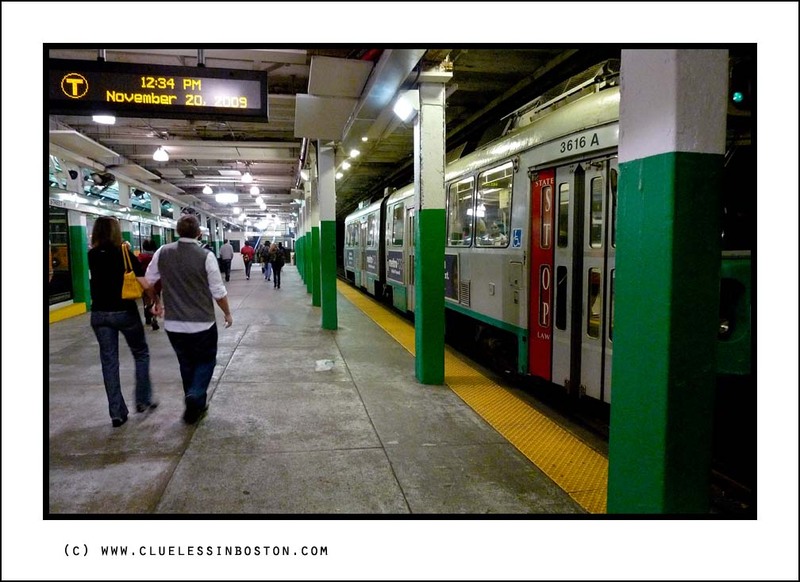 The Boylston T stop has come a long way, n'est-ce pas? It looks like it's had a face-lift to me...with wonderful results. Love those colours, the yellow line and green pillars make it come alive! I likte this! A place where things happens, and the colours are just so refreshing! __Having ridden others, the Boston "under" trains are second to none, and your fine photo tells that story! __This... from the last holiday season. In 1976, I rode the MTA. Is this the same thing? Lovely shot of a nice-looking and colorful subway station! Jacob, this is indeed the same. The MTA (Metropolitan Transit Authority) was reorganized and morphed into the MBTA (Massachusetts Bay Transportation Authority) when it was expanded beyond just the metropolitan Boston area. Love the repeating lines shapes and colors here. Haven;t been here in many years--"but did he ever return, no he never returned!" Mr. Clueless, you should also mention that all the locals refer to the subway as "the T".